Getting the most out of Weytr | Weytr - good times served! Weytr can greatly improve your profits, and the technology works right out of the box. Still, there are things you can do at your venue to get the most out of it. Today, we’ll be looking at some simple improvements that will help you get the most out of Weytr. Weytr needs to have an active internet connection to work, and for tourists especially, your wi-fi is often the only way to be online without those painful roaming charges. Now, there are usually two things that affect your guest’s connection quality. The further away you are from the wireless router, the weaker the signal is. Are you covering your entire grounds? The first is the number of logged in users your system can handle. The wi-fi signal is transmitted through one or more wireless routers, and they come in all price ranges. For a family of four, a cheap router that accepts up to five-six connections might do the trick, but for a venue with tens and perhaps hundreds of guests signing on and off all the time, this simply will not do. How do you know if your router can’t handle the number of users? If guests are constantly complaining that they cannot log on, or are losing their connection, then the router is probably at fault. Investing in wireless routers that can handle a lot of users is one of those things guests have come to expect: it’s worth the investment. 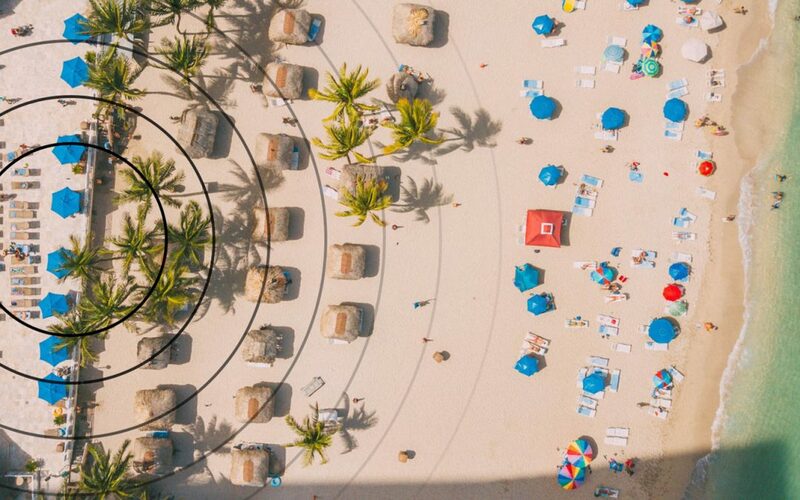 Many hotels/resorts and restaurants have done a great job in making sure all their floors and rooms have good coverage, but then forget about the other areas. Your restaurant, pool, beach, gym and recreational areas should all be covered as well. Too often, as people move into the more peripheral parts of your venue, the wifi signal is long gone, or so weak they can hardly keep a connection. There are several ways to extend your wi-fi signal, and not all of them require any new equipment. Check out this guide on how to do it yourself. Show, and remind your guests that Weytr is there for their convenience. Not just in the rooms, but in all areas where you serve food, snacks and drinks. We can help you out with promotional material where needed. As we were developing Weytr, we did a lot of research into what made people frustrated when ordering food and drinks: it turns out, they really hate waiting. All menus in Weytr feature a timer that shows how long time guests should have to wait for a certain item. For example, pouring a soda and delivering it to the customer might take five minutes, but your world-famous truffle steak might take 35 minutes. The moment a customer places an order, we log the time, and we can provide you with statistics showing if the customers are getting their items on time. Through the Weytr Dashboard, you have complete control over which items are available, what they cost, and how they are described. Make sure to keep your menus up to date, to avoid customers ordering items that are no longer available, or have changed since their original publication. Are some items not selling? Try experimenting with the name and description. Sometimes, changing descriptions with just a few words can improve your sales significantly. Would you have a Coke “served in a glass”, or does it sound more tempting with “served in a frosted glass with a slice of lime”?